Does This ‘Batwoman’ Costume Make Ruby Rose Look Fat? 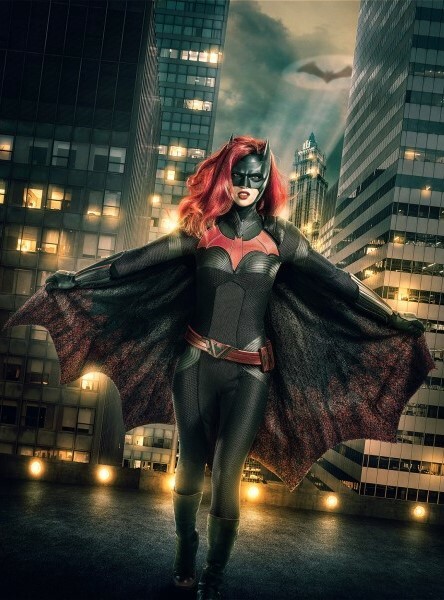 Posted above is The CW’s first released image of hot Hollywood lesbian Ruby Rose all decked out in her Batwoman costume. The look is not flattering and actually makes one of the skinniest actresses in show business appear somewhat chunky around the hips and middle — like one-too-many bat burritos. Slated to premiere next year, the show stars Rosa as as tormented heiress Kate Kane, a stunning lesbian with deadly street fighting skills who battles crime as costumed vigilante Batwoman. Rose, who is coming off the monster shark summer blockbuster The Meg, first caught genre fan eyeballs with roles as a hot apocalypse survivor in Resident Evil: The Final Chapter and as a hot assassin in John Wick: Chapter 2.